You are currently browsing the tag archive for the ‘Bob Gale’ tag. It’s almost hard to believe that it’s already been 25 years since the greatest movie ever made was released in theatres. That’s right! 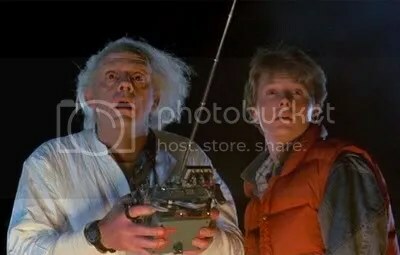 Back to the Future is celebrating its twenty-fifth birthday this year, and yes I said greatest movie ever made! For those of you that know me, I would imagine that that statement comes as no surprise to you, but for everyone else this movie was a huge deal to me growing-up. I went to see it in the theatre two times, which doesn’t sound like much these days, but when you’re talking about a 12 year old kid in 1985, and add to that the nearest theatre was a whole thirty-five minutes away, it’s kind of a big deal. To help celebrate the anniversary earlier this month, some theatres around the country and even the world, showed special screenings of Back to the Future once again on the big screen. As you can probably already guess, I was there to gladly get a third theatrical screening under my belt. For those of you that are unfamiliar with this movie, I will kindly ask you to remain nameless, for I value our friendship, and wish not to judge you. In Back to the Future, a teenager named Marty McFly (Michael J. Fox) worries that he’ll never amount to anything. He also, like most teenagers, can’t relate to his parents and can’t even fathom them ever being his age. 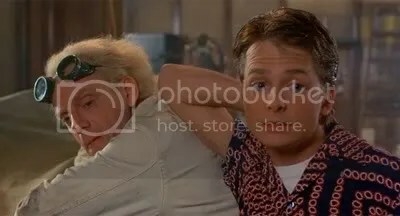 Well, that is until early one morning on October 26, 1985, when his good friend Dr. Emmett Brown (Christopher Lloyd) introduces Marty to his latest invention… A time machine made out of a DeLorean!? Finally, a time machine with some style! After a series of unforeseen events, Marty finds himself unwittingly transported to November 5, 1955, and face to face with none other than his own teenage parents. Pretty heavy, huh? To make matters even worse, he may have also inadvertently stopped his parents from ever meeting, which as you can image doesn’t bode well for Marty’s future. I think one of the things that makes this one of the greatest movies, is how amazingly well it holds-up. No matter how many times you’ve seen it, you still get tense at the clock tower scene; as if you thought the movie might end differently this time. 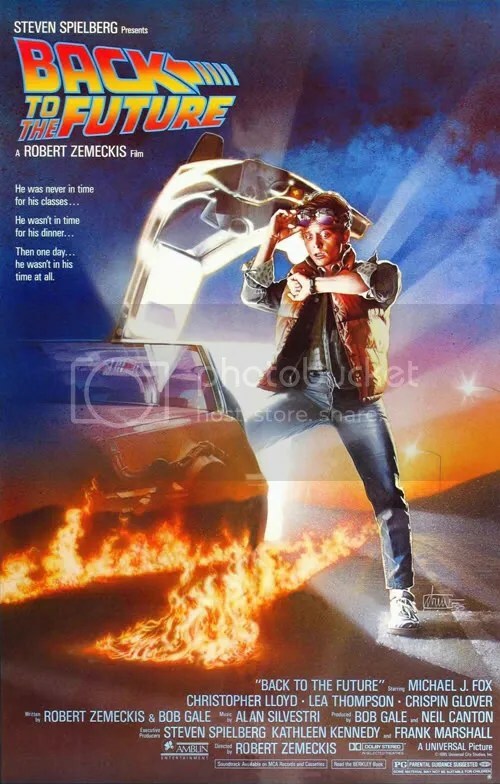 Also by labeling 1985 as 1985 and not the present, Robert Zemeckis and Bob Gale are able to preserve the movie as a period film no matter when you watch it. The only thing they have to worry about is the future, and they’ve got another 5 years before that’s a problem. Let’s just hope someone can invent the Hoverboad before then, but we’ll get more into that in about 5 years. Let’s get back to the first movie, Back to the Future did a great job of telling an amazingly creative story with a lot of humor and heart. Sadly, a movie like that would never be made today. It’s too big of a chance. 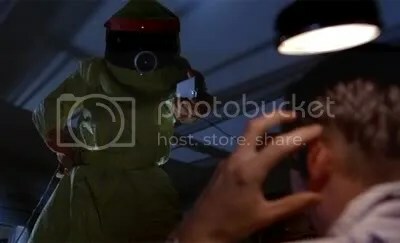 Hollywood doesn’t take chances like that anymore. They like to play it safe. Let’s just make sequels and adapt already existing material. Do you realize that filmmakers these days are writing comic books in hopes of maybe being able to get it turned into a movie?! They can’t just write an amazing script anymore. They have to turn their movie ideas into something they’re not, so that someday it might be turned into the movie they wanted to make in the first place. That’s fucked up, people!! Back to the Future would never get made today, and that’s crazy because it has two successful sequels! Exactly what Hollywood wants from a movie these days! We need creative filmmakers now more than ever, and they’re out there. They just can’t catch a break, when the studio executives just want something exactly like that other something that just made money for no reason. Unfortunately, as long as there are sad little “yes men” writers out there, that are more than happy to write whatever they’re told to, the next generation of Steven Spielberg, Robert Zemeckis, and Tim Burton’s will never be heard. Wow, that got really depressing there. 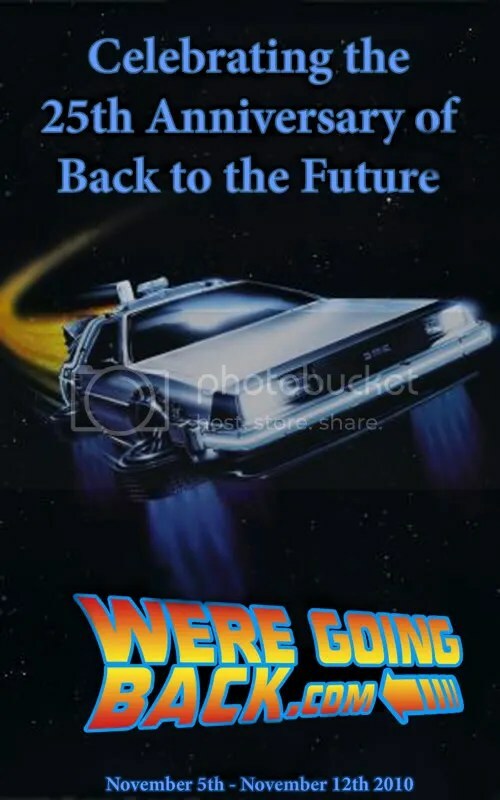 Back to the Future greatest movie ever made! See it if you haven’t! See it again if you have!